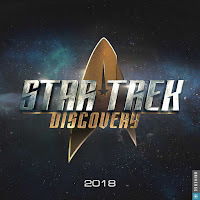 Overview: First calendar based on the new TV series, Discovery. 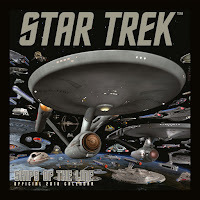 Overview: TOS calendar, latest in the perennial calendar series. 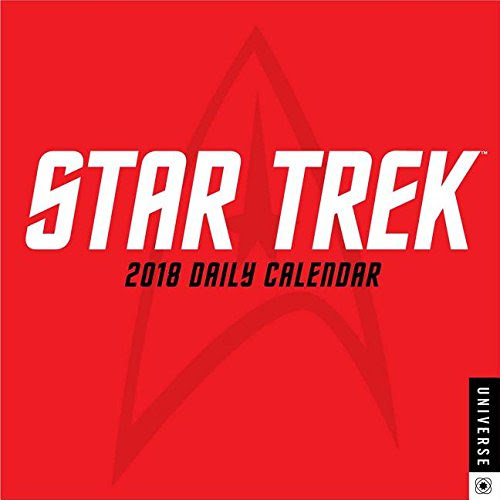 Overview: 2017 edition of the long running daily calendar. 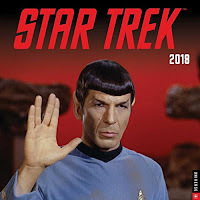 Overview: Latest edition of the regular 16 month engagement calendar, this year themed on the Kelvin timeline. 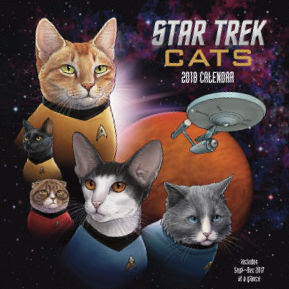 Overview: Unique calendar using artwork from the Star Trek Cats book. 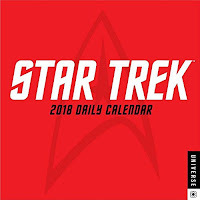 A ThinkGeek exclusive. 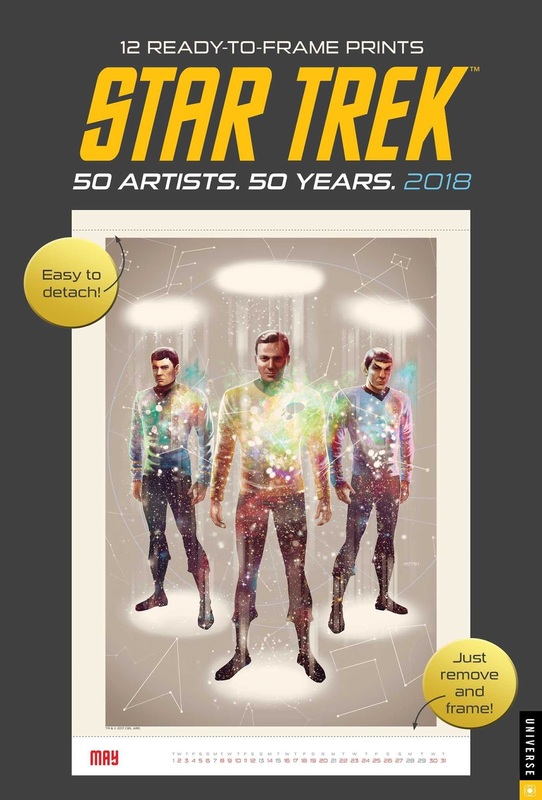 Coverage: Covers and preview page. Related lists: Star Trek Cats products. Overview: TOS calendar, this year using classic comic book covers from Gold Key Comics. 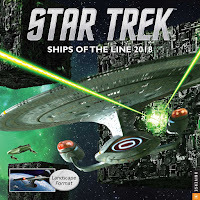 Overview: Landscape starship art calendar, a reformatted version of last year's US Ships of the Line calendar. 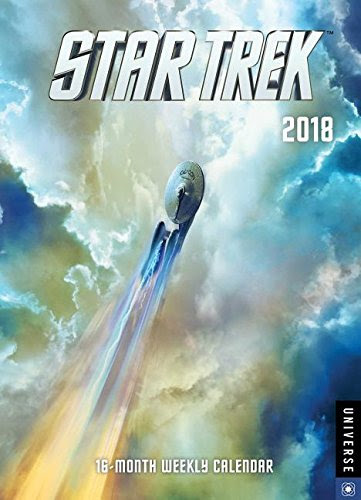 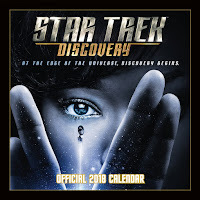 Overview: Calendar based on the new TV series, Discovery. Overview: German language large format TOS calendar with poster page. 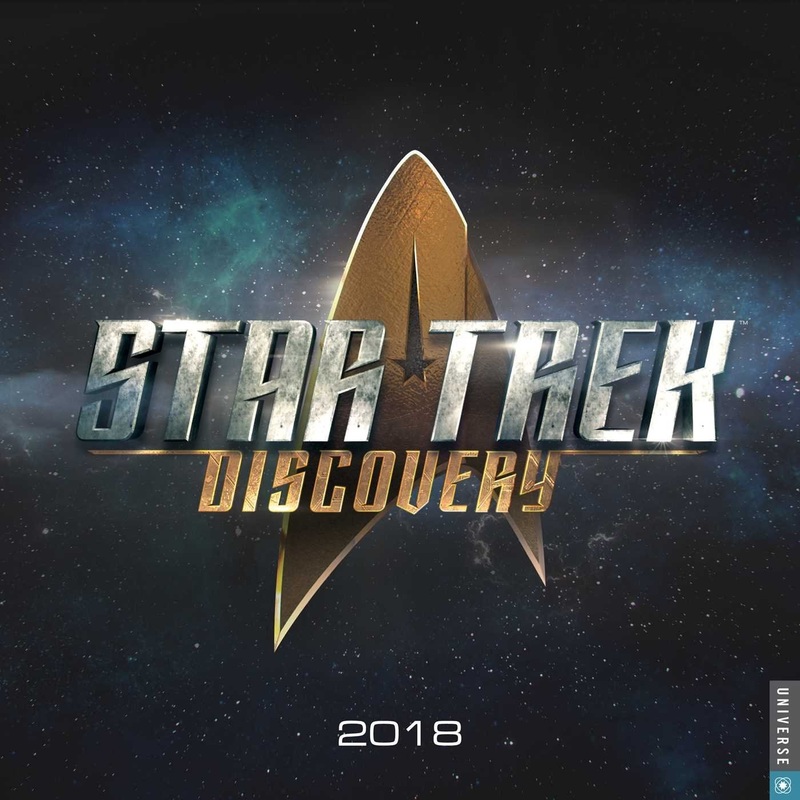 Second year running of this format. 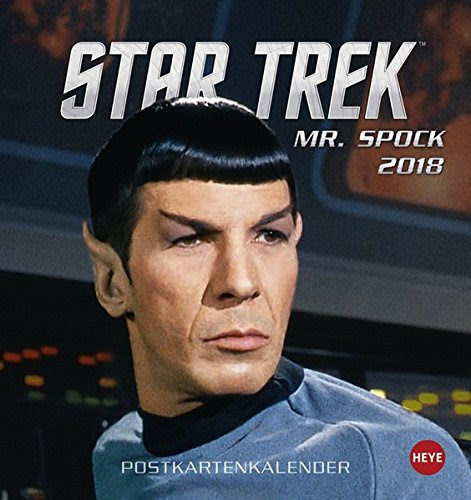 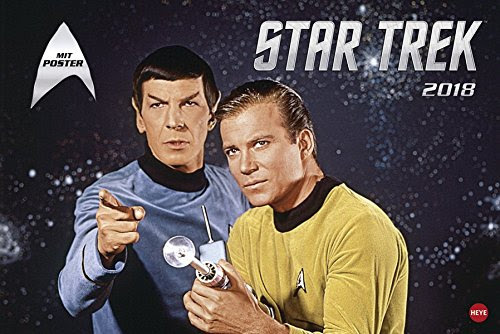 Overview: German language postcard format TOS calendar focused on Spock. 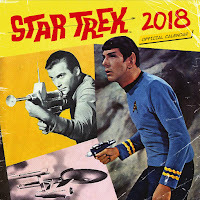 Second year running of this format.